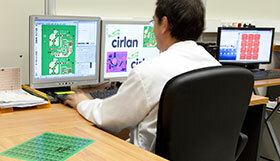 MANUFACTURERS OF PRINTED CIRCUIT BOARDS We are a benchmark in the market, thanks to the quality and reliability of our products, our closeness to clients and our flexibility. SINGLE SIDED PRINTED CIRCUIT BOARDS Our circuit boards are intended for both large-scale retail and the industrial sector, offering different types of materials and finishes. METAL CORE PRINTED CIRCUIT BOARDS These material compositions are aimed at PCBs with high thermal dissipation needs. Given the conditions of this technology it fits perfectly in the market of circuits for lighting, signage, automotive, etc. QUALITY ASSURANCE In our organisation we apply quality and environment management systems as we include methods of continuous improvement in the processes implemented. DOWN TO THE LAST DETAIL From the start, a fundamental pillar of our success has been the constant modernisation of production systems. 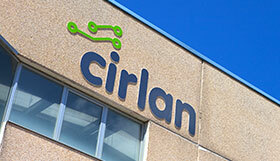 Cirlan today offers a wide range of circuits. THIS IS YOUR BASE Effort, professionalism and know-how are the cornerstones of the company's team. 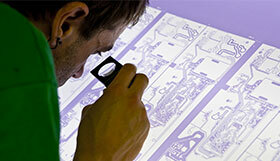 Thanks to continuing research we are always able to offer cutting-edge solutions.